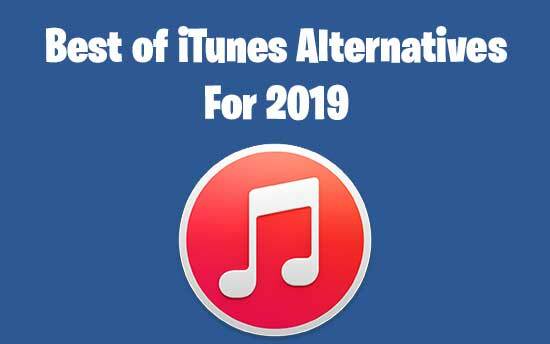 The word Alternative for iTunes comes in your mind with a question mark, because all we know that iTunes is the service that contains loads of music and media. But, we know that the iTunes service is from the Apple Store and can support only for iOS and Mac platform-based devices. iTunes service is not for Android users, and they are always fond of iTunes alternative that can be used on their devices. Multiple alternatives can give us an experience like iTunes, but our busy schedule doesn’t allow us to scroll each one of them and decide which one is the best. Here, in this article, I am listing the best alternatives to iTunes for those who are bored of using iTunes and want some better features than iTunes. So, take a look after these alternatives. If you are looking for the modern music player, then Clementine is the best choice for you. Clementine is motivated by Amarok 1.4, concentrating on the quick and easy-to-use interface. You can search and play your favorite music by using Clementine. Windows, Mac OS X, and Linux. It has tabbed playlist, export and import M3U, PLS, ASX and XSPF. It gives us information about lyrics, photos and artist biographies. You can create a smart and dynamic playlist. It has CUE sheet support. It has visualizations from ProjectM. 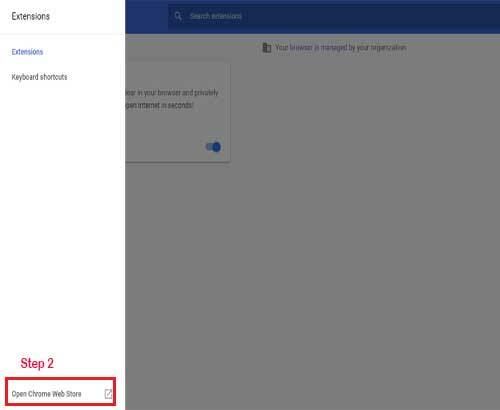 You can search and play songs uploaded to OneDrive, Box, Google Drive, and Dropbox. Clementine can be used to listen to internet radio from SKYfm, JAZZRadio.com, Spotify, SomaFM, Magnatune and many more. You can copy music to your iPod, MTP, mass-storage USB Player and iPhone. It has a Queue manager. PodTrans is next in the iTunes alternative that is designed to transfer iPod music files to PC or Mac. This is the reliable, simple and trustworthy software to iPod transfer. PodTrans is the best app to copy music from various sources like iTunes U, Podcast from iPod to iTunes/computer. Without using iTunes, you can add videos, iTunes U, Podcasts and music on your iPod. It rules your iPod music with two-way transfers, and quickly transfer them to the desktop, or inversely. It supports almost every type of media file and automatically organizes it on your iPod. All for free. Waltr 2 an alternative to iTunes is built on groundbreaking concepts and designs. It can let you connect you with your Apple device in a way that it feels marvelous connection. 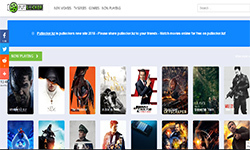 This software introduces Automatic content identification created for TV shows, movie, & Music. It is Cableless software that helps it to connect with any high-speed WI-Fi to bring a new dimension to freedom. The new upgradation in Waltr 2 helps people connect with all the iPods that are released on or after 2001. You can easily run PDF and even EPUB file formats in Waltr 2. Without iTunes, you are able to drag and drop any Music, Ringtones, ePUB, videos, PDF & files within any Apple device. Media Monkey is the best iTunes alternative for serious collectors that syncs between your device and PC. This app helps you to manage, navigate and sync extensive music collections. MediaMonkey supports all audio file formats including popular format MP3. This software can easily operate with as much as 100,000+ media files without hanging up at all. It downloads music, podcasts, movies, and record CDs. Lyrics, album art, and other metadata can be looked up automatically and tagged intuitively. Party lover? No worries, Media Monkey has special party modes with Auto DJ option to take care of your party themes. 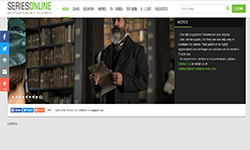 It manages any audio video genres like Audiobooks, Classical, Home movies, Rock, classical, etc. MusicBee is an eventual music organizer because it helps to manage, run and search music files on your desktop. This alternative to iTunes enhances your music experience by supporting podcasts, SoundCloud integration, and web radio stations. MusicBee helps to play your music the way you want because it is simple, quick and powerful. It has 10-band or 15-band equalizer and DSP effect that help to fine-tune the sound. It has beautiful Skins that help to customize your MusicBee according to your choice. You can sync your MusicBee with the device you are using. It is one of the most lightweight players and uses only 25-70 MB Ram including skins and add-ons and packs all of these under 10 MB. Foober2000 becomes an iTunes alternative Windows can run from its varieties of all the latest versions of Windows. This is the advanced audio player application for the android, windows, and iOS-based devices. Windows XP-Sp2 or newer, Windows (7, 8, 8.1, 10, Vista), windows server 2003, 2008 and 2012, Android and iOS. Foober2000 supports audio formats like MP3, MP4, AAC, Opus, FLAC, WavPack, WAV, Musepack, Vorbis, and AIFF. This software can play songs without a single gap. It has replay game support-automatic playback management. Foober2000 supports downloading music from UPnP media servers and playback. Appearance can be personalized with skin files. Musique has a crystal clear interface that allows you to run all the supported files in this software that can improve your listening experience on another level. This music server keeps you focused on the only thing that matters. This is the best music app for kids and other members of the family that may find other players too complicated and clumsy. Windows (7, 8, 10), MacOS, Debian & Ubuntu. It is lightweight and starts very quickly, and extensive collections can be handled easily. It allows you to browse by artist photos, genres, folders, and album cover too. It’s deeply engaging info view can switch to while listening. Also, musique can show the general information about music files i.e. present track, artist name, and album. It supports almost all the audio formats including OGG, Musepack, Monkey’s Audio, True Audio, Flack, Vorbis, and WavPack. Like to listen FM? Musique can serve you Last FM too. This software can interpret into more than 20 languages that includes French, Portuguese, Chinese, German, Spanish, Russian, Italian and German. Musique stores all of his data in its database, and it never modifies your files. WinX Media Trans knows Windows Users better than iTunes. This is also known as the manager of iPhone/iPad. 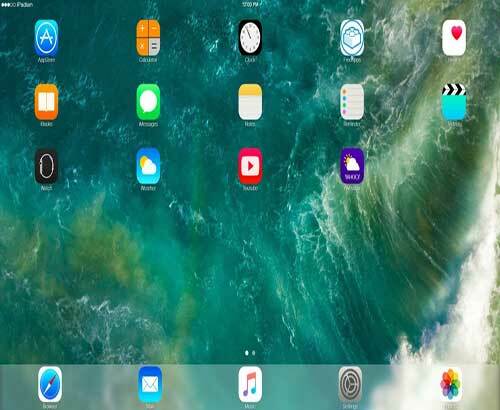 This is the easiest way to shift videos, music, and photos between iPad, iPhone, and Computer. It makes iPhone More vast and Boundless with Security. Decimate File leak and includes unbreakable encryptions like 256-bit AES, Argon2, PBKDF2, RSA, 1024-bit. Helps to organize your iPhone Music and Playlist safely and effortlessly. It converts any video formats, like MKV, to iPhone/iPad automatically. HD videos with 1080p and 4K quality can be import/export between PC and iDevice, in batch. It is the world’s fastest photo transfer app that doesn’t require iTunes, Wi-Fi or iCloud. Vox media player is another great iTunes alternative to Mac and iOS users. You can listen to music in the highest quality from various music sources. It supports all popular formats including Hi-Res ones. Vox Media Player is an all-in-one Audio player with all your favorite music sources. It has advanced audio features like Playback FX, gapless playback support, Stream music via Airplay, CarPlay support, etc. For premium subscribers, it provides unlimited music cloud storage for your music collections. It helps to organize music and has an easy way of transfer. DearMob iPhone manager is a secure iOS organizer to move your iPhone data with the encryption method. Offline restoring of backed up data is possible with the help of DearMob iPhone Manager, it also selectively move & organize any file of iOS. It has fast speed; even big files take only a few seconds. This app is the perfect tool to transfer photos, music & video files between iPhone, Computer and iPad. This app provides you with the secure and easy way to backup and restore whole iDevice data and enables you to switch quickly to the new device. After quality research we have sorted the above list of best iTunes alternatives that can give you a better experience and useful for those who are fond of this. We have tried to provide you with all the information related to alternatives of iTunes in a simple and easy-to-understand language. In my opinion, I will suggest the Clementine media player as it full fills all my requirements. If you find the above information useful, then do share this with your group and share your thoughts on this article. Stay tuned with us for more details!! Kodi is the free and open source media player that was formerly known as XBMC. Kodi provides access to streaming media contents. This media player slowly marks its impression on those who want to share contents around the home. Peoples are in search of Kodi alternatives because of cracking down of illegal streaming goes on, and lots of add-ons of Kodi have been shut down because of some severe court cases. Here, in this article, I am introducing you all with what other sources are available that you can use as Kodi replacement. 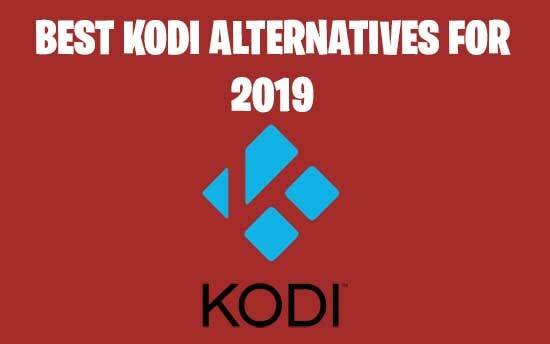 List of Top 10 Kodi Alternatives to use in 2019. 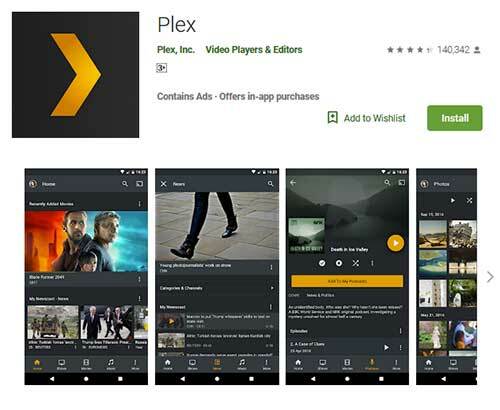 Plex is the best alternative to Kodi that magically arrange your media library and allows you to stream them on any device. You can stream your choice of media on any screen, big or small all together with Plex. Streaming of music from TIDAL that contains 59 million high-quality tracks and also 25000 music videos. Organize the media files and play them on any device in a beautiful & simple interface. 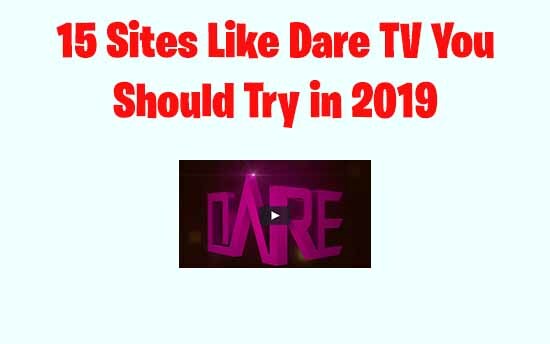 You can watch your choice of web shows from different sources. On personalized recommendations, you can search for the podcast as well as for new media material. It provides you with trusted video news from 190 global publisher partners. 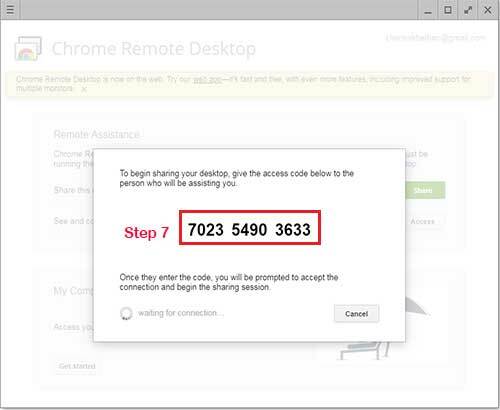 Remote access and sharing is available. It provides security and privacy preferrably. You can control the big screen through Plex remote control. Free trial of 30 days after that you have to pay the US $ 4.99 every month. Lifetime charges are the US $ 119.99. MPTScheduler aka Media Portal is a free open source media player that is known for transforming your PC into an advanced multi-media center or home theater. You can use this Kodi replacement to listen music and radio, watch videos and DVDs or even schedule and record live TV. It is similar to a digital video recorder. 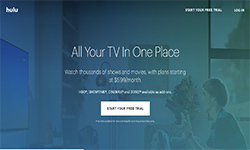 It is like TiVo but more, you can watch, schedule and record TV and that is also for free. Play DVDs, movies, videos, and blu-ray discs. You can create a slideshow, watch pictures or home videos. Media Portal provides you with the facility to check weather reports, news and more. You can control your HTPC by remote controller. You can stream media, TV, and Radio to any PC/HTPC connected to your network. 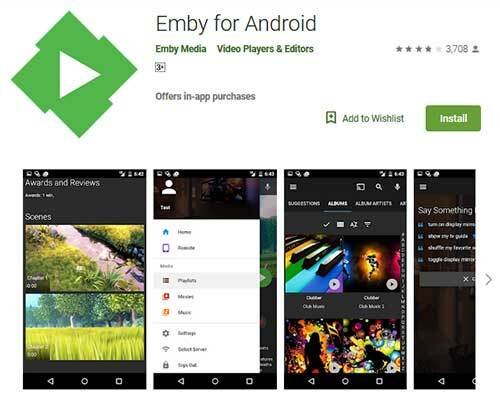 Emby helps you to combine all your photos, videos and music in one place to stream them on your device. No other alternative is as effective for accessing all your media from a single place and play them as your wish. You can play your media files on any device because Emby automatically transforms your media on-the-fly. Emby helps you to arrange your media files in a way that they look fancy including related content suggestions with rich metadata. Private sharing of your media files with your friends and family is another great feature that Emby has. Easy control command over all family through its parental control. 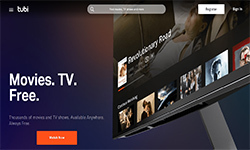 Watch live TV and manage your DVR. If you have installed cloud synch provider, then you can stream your cloud-synced media. The Universal Media Server is not as good as Kodi but could be a Kodi alternative. This server can serve videos, photos, and audio to any DLNA-capable device. The universal media server is free and updated regularly and has more functional features than any other servers including paid servers as well. This server supports almost all the essential operating systems like, versions for Windows, Mac OSX, and Linux. This server supports massive range of media formats. This server helps to stream audio, video and image formats with little or no configuration. 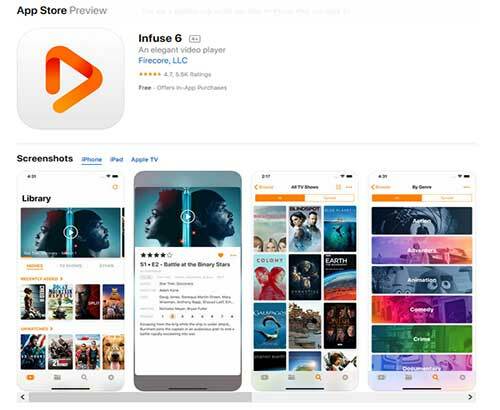 Infuse is next in the list of apps like Kodi that helps to catch your video content. This server is surprisingly powerful because media content looks excellent and plays anything thrown at it. Overall this is an elegant video player that gives you the best listening experience. Infuse is powerful, super efficient playback engine that plays every video file including MP4, MKV, DVD and many more. You can play videos stored on Mac, NAS, PC and cloud services. Get organized automatically by using Infuse. Use cloud storage to keep all in sync. 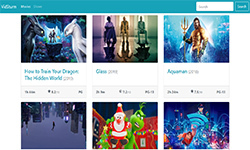 Stremio helps to arrange and watch movies, Live TV, series and video channels. This app offers features that are better than Kodi. Discover new contents with ease. You can see all f your video content on one screen. 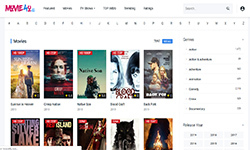 Stremio helps to organize your video library by type, alphabetical order based on latest use. You can keep a record of everything you watched. Enjoy video content on bigger screens. Watch videos from various sources. 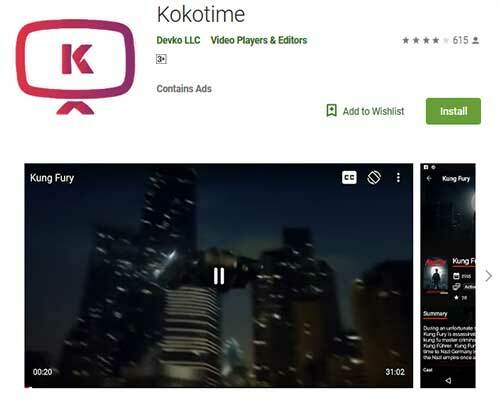 Kokotime is next in the row of Kodi alternatives. This is the free, simple and beautifully designed media center that will allow you to watch all your choice of media content whether it may be movies or anything else. It supports 3rd party add-ons. Make a list of local media and arrange them by genre, top rated, recently added. It has a file manager. You can resume your watch from where you left. Universal cast to let you cast any media to any device without an external device. Subtitles will load automatically with custom subtitle styling. If you are a movie buff, then Popcorn time is the app for you that might be better than Kodi because it features all the new movies, trailers, upcoming movies, movie cast, and movie news. You can browse your favorite movies and click to watch by using this app. You can explore breaking entertainment news. Everything related to movies you will get here such as movie trailers, movie reviews, movie gossips and so on. You will get 153 films based on the user’s review. JRiver a Kodi alternative is a comprehensive media software and best choice for seamless audio, television, video, and images. 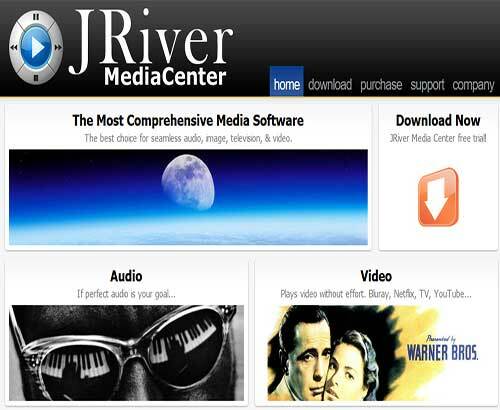 Jriver is a well known platform recognised for providing solutions to network issues in media field. A perfect audio files can be explored. 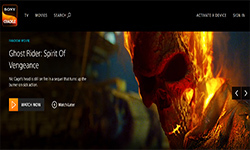 Plays videos effortlessly and that is also with the highest quality. You can enjoy media files anywhere, anytime and at any place. It controls everything with one thumb and five buttons. Edit, arrange and view your images. If you are in search of apps like Kodi, then OSMC is the best choice for you as it is an open source media center built for people and by people. Free and open source because it is built on great software with the same values. OSMC can play all major media formats from numerous different devices. All the above list is for those who are looking for Kodi alternatives. Have you gone through the list? Does any alternative matches with your requirements from the list above? Please share your feedback with us as your feedbacks always inspire us to work more efficiently. Stay tuned with us for more informative articles. You might have used various messaging apps available in the market. Each has its characteristics, and you are using them with satisfaction. But what if I say that there is one messaging app that is the strongest among them. You might have the desire to grab it. Yes, Apple iMessage is another most popular app for messaging. Now you must be confused and think that it cannot be accessed without an Apple device. Don’t worry we have a solution. In this article, we will explain how to use iMessage on pc. 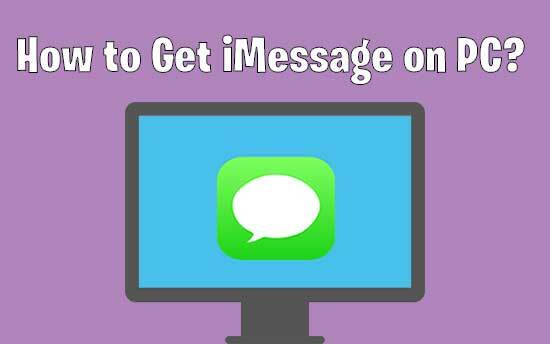 There are methods to use iMessage in your PC by following some simple steps. Our step by step details below will guide you through the complete process so that you can perform it without any hassle. Service free of charge. You don’t have to pay a penny to use this app. It’s one of the most straightforward and fastest iOS platform application. With this app, you can send unlimited messages. Share incredible videos and pictures with family and friends. You can figure out whether or not the person you’re chatting with is typing. SMS and iMessage texts are easily distinguished as iMessage texts appear in blue. Top 5 ways to get iMessage on pc easily. There is some prerequisite for the process to work. You need a PC and a Mac Both the device have to be securely connected on the internet all the time. 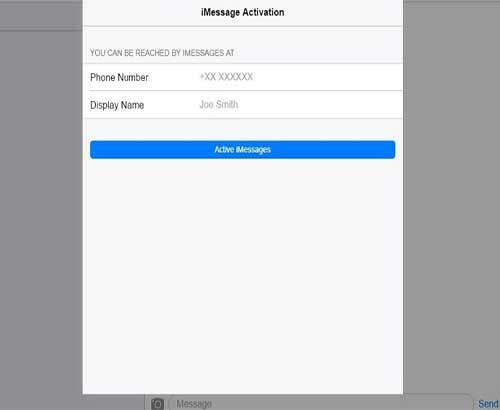 In this method, we will be accessing iMessage via your MAC to your PC through the internet. So you have to follow these instructions for fully functional operation. 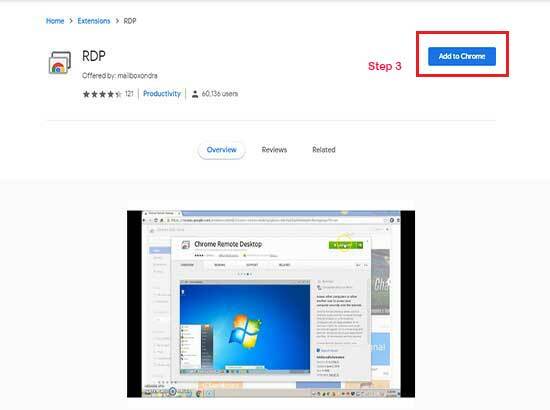 Step By Step Process to get iMessage by Chrome remote desktop. Step 1. 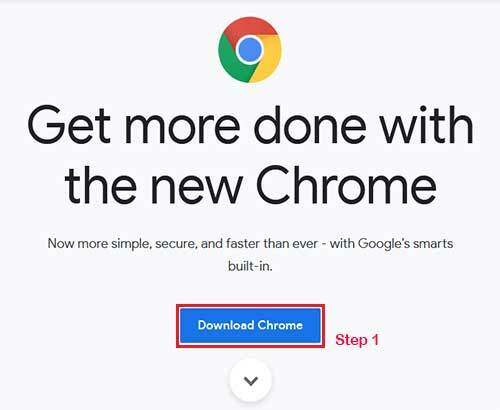 Download google chrome in both your PC and Mac. Step 2. Go to the Chrome settings and then extension. From there, open chrome web store. Step 3. 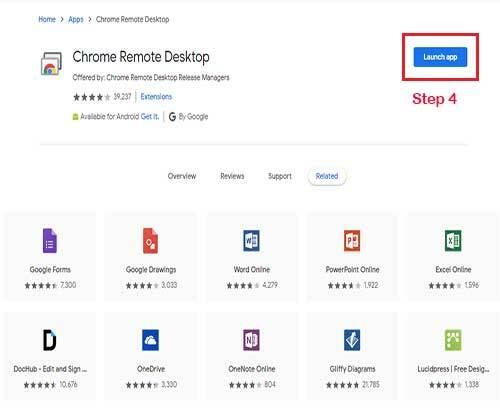 Search for Chrome remote desktop and add the app to both of your PC & Mac. Step 4. Launch the app in both the computer. Step 5. 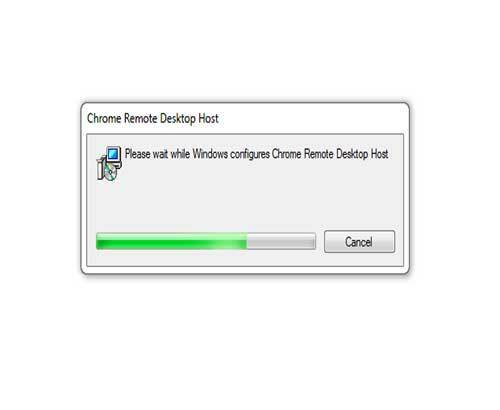 In this step, you have to download Chrome Remote Desktop Host installer in your Mac. Step 6. 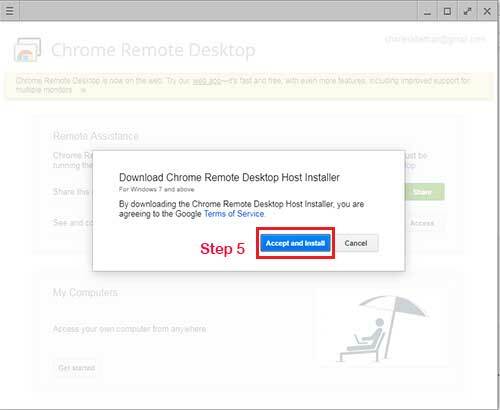 After this install the chrome remote desktop host in Mac. Step 7. 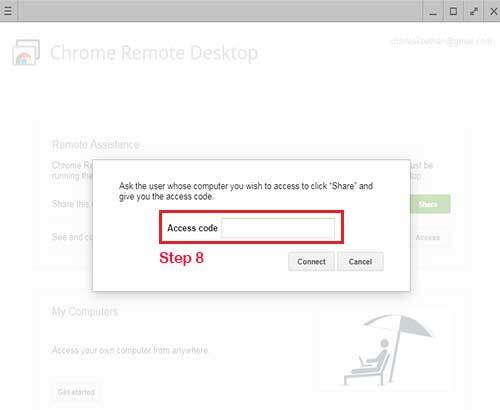 After the installation is successful, share your Mac to your PC through the security code and connect both the system. Step 8. Now you can access your Mac from your PC. So open your iMessage in your Mac and start using it through your PC access code. #2. Start using iMessage in your PC through iPadian2. In the previous section, we have explained how you can use iMessage through Mac. But there may be a scenario that you do not possess any Mac. In this section, we will demonstrate that even if you do not have a Mac, still you can enjoy iMessage. 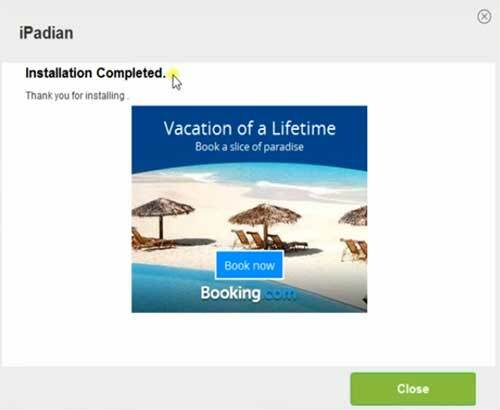 You need to use one third-party program called iPadian. 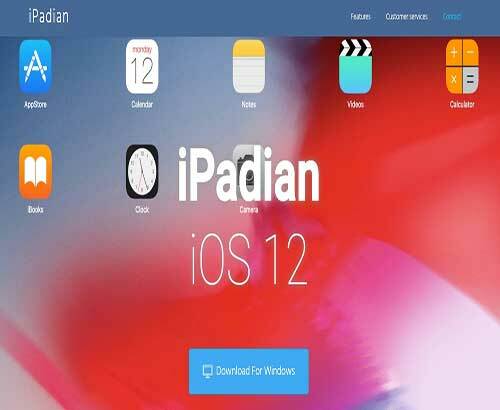 iPadian is an application that allows you to get an iOS ecosystem in your Windows PC. You can access iMessage after installing it the PC. There is a free version available as well as a paid version. The paid version costs $20.00. So we recommend using the free version first before getting into the paid one. You will require an active internet connection in your PC for downloading the necessary application to install iMessage. Next is the iPadian app which you can download from their official website. Step By Step Process to get iMessage by iPadian. Step 1. 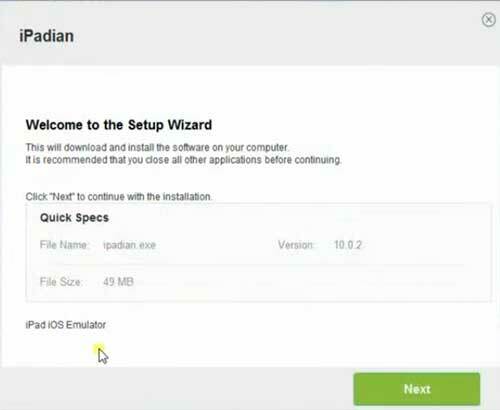 First, you have to download the iPadian in your PC. Step 2. 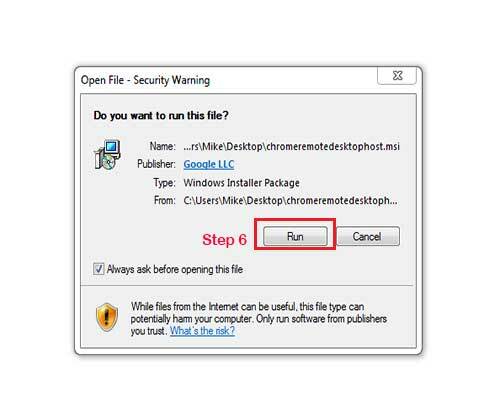 Once downloading is complete, locate the program file and click to install it in your PC. Step 3. 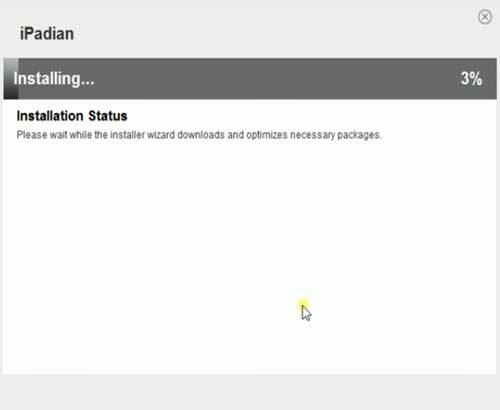 You need to follow the wizard for a perfect installation. Step 4. After Installation completion, launch the app in Windows PC. Step 5. Once you open the iPadian, you will find the following screen with iMessage in it. Step 6. Click on the app and the following screen will come. Step 7. Provide the Phone number and Name and start enjoying iMessage for PC. So here we conclude our article with the best possible option to avail iMessage on pc. Among all the methods we find the easiest one is to avail through mirroring 360. Although the app requires a cost, that is worthy in terms of its full functionality and usefulness. You can try all the method instead and can serve your views below. However, there are many software available who has also followed a similar journey, but unable to secure such branding. We bring those Photoshop alternatives in this article and offer you a chance to go through their ability and best features. Who knows whether this list of not so known software could be able to win the battle in your performance requirement or not. Run through the following and experience the surprising facts you might not be aware. 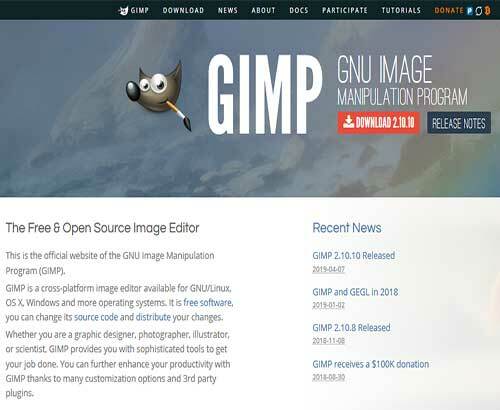 GIMP is one of the best open source free Photoshop alternatives that has secured its place in many peoples workflow. Whether retouch of the real photo or creating a new one every photo editing work can be done nicely thorough massive range of professional functions. GIMP user can perform all the action like Photoshop and gives liberty to develop different pre-set brushes according to the required style. Great community support makes the transition smooth. 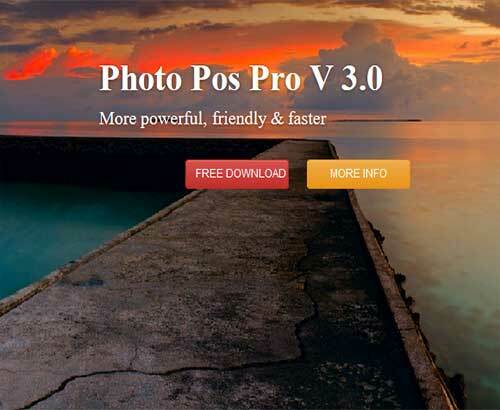 If any of Photoshop alternatives can cater for the use of both beginners as well as experts that is Photo Pos Pro. For the standard users, there are filters from the software to retouch at one click and enhance the photo quality. Also, there are great functions like Photoshop for pro users. 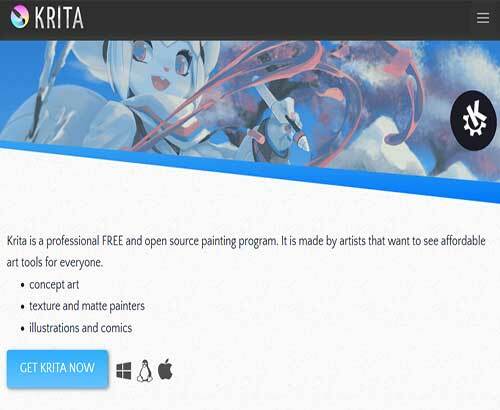 Krita is best among Photoshop alternatives due to its enhanced feature like Photoshop. It bears a complete resemblance in the interface as well as the toolbar arrangement. It has full acceptance among online photo editing forum members. This open source programme is beneficial for matte and texture painters as well as in concept art, for comics and illustrations. 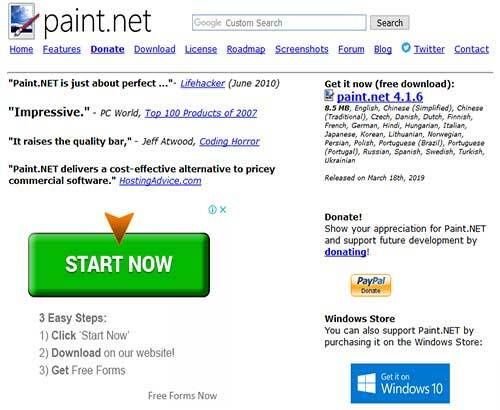 It is a free alternatives to photoshop that is widely accepted by professional community. Paint. NET is a complete featured free Photoshop alternative to more sophisticated and challenging to grasp image editors. Its simplicity is pivotal. But the software has some excellent characteristics, which helps to develop better shots. Anyone who uses Adobe Photoshop or another full-fledged photo editor will easily understand Paint. NET’s interfaces. It is intuit able enough for full newbies to grasp quickly. All simple tools are displayed as icons on the left side of the panel, with filters and other improvement tools in the top down menus. PaintShop Pro is another alternative to Photoshop; it has several resources to make it straightforward using. The best graphic design programs have a variety of instruments to assist you in creating projects from brochures to animations or entire webpages. There is a simple interface in the application which is split into two buttons: manage and edit. The edit tab offers all editing options, while the management tab offers a dependable photo organizer. Although the cost is a bit of higher side, this is the best-suited software for the professional users. 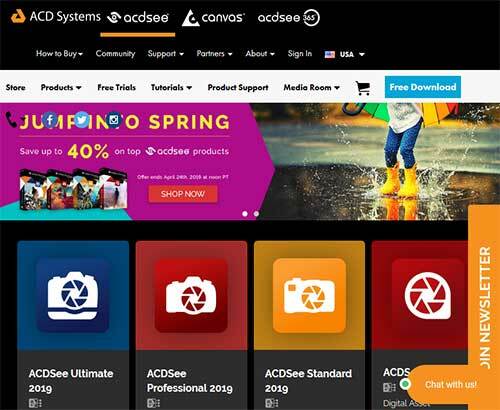 Like Photoshop, since the beginning of digital photography, ACDSee has been around. 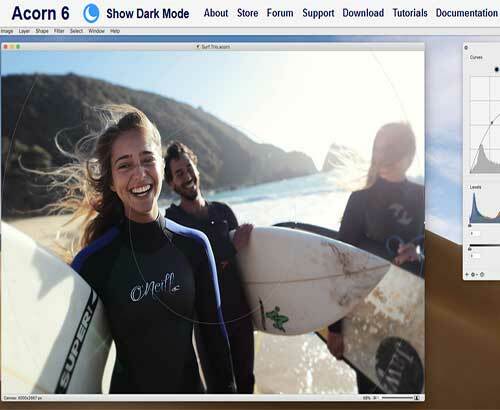 It provides a complete range of editing functions working in raw, JPEG and other photo formats. Thanks to its Edit mode, which records steps and replicates the whole editing process and eliminates repeat tasks and saves time. As a popular all-in-one program, the software aims at reducing the need to concurrently use various applications to fulfill the duties relating to photo editing. 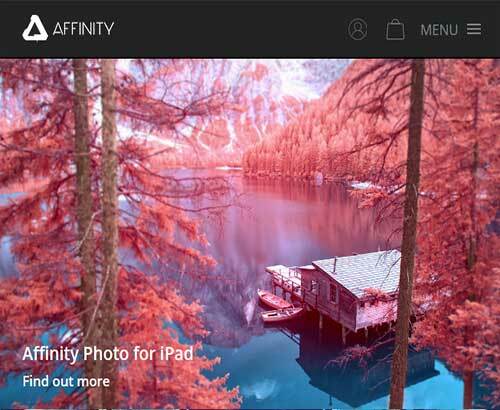 Affinity Photo is a fantastic post-processing and editing program for all level users. You will need this program if you’re a professional photographer or you like it as a hobby. You can improve your images and also eliminate any imperfections by using editing software like Affinity Photo. This is not a free alternatives to Photoshop, but you can download Affinity Photo for a free 14-day trial. The trial version offers full functions and is a robust tool to use to see the features before making a purchase. 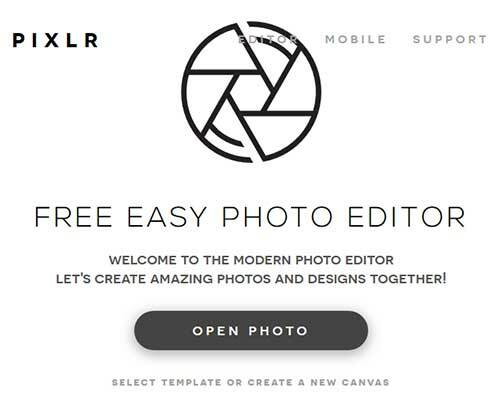 Pixlr Editor is termed as a free online image editor developed by Autodesk and favorite for its complete featured package. Although it has various versions like desktop, iPad or Android, the online version only supports the layer management. 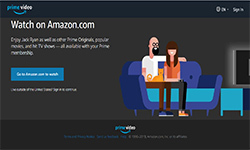 The online version hosts ads that are displayed at the right of the window. It may reduce your workspace, but considering the full features, it is the best free online Photoshop alternative. Photopea is the best free photo editor online and has real potential to be a Photoshop alternative. 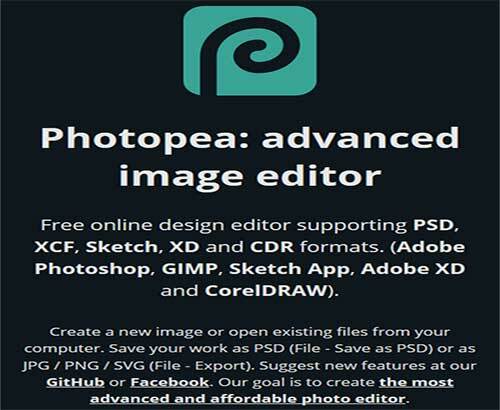 Unlike open source programme or another online programme for photo editing Photopea provides an identical interface of Photoshop that is quite helpful in navigating. Photopea has the same essential tool and same workspace environment like Photoshop making it popular among user as online photo editor like Photoshop. Acorn is another Photoshop alternative for Mac user. It is a complete post image processing program that works with levels filters or non-destructive curves. Acorn provides all the necessary tools of an image editor like Photoshop offers. Acorn clone tool can clone across the different image and modifies the brush softness quite quickly. A new comfortable palette gives the user additional option for configuring it. Comes with a suitable price tag and 14 days trial, it is a good alternative of Photoshop. Pixelmator Pro is a photo editor to access the most sophisticated tools available for professional image editing, and it is the only photo editor that you will need among Photoshop alternatives to do professional work in Mac. It has an impressive collection of tools for photo editing and replacement, graphic design, painting, drawing vectors and adding remarkable effects. With an elegant and sophisticated window interface, it places the focus only on the images you edit. 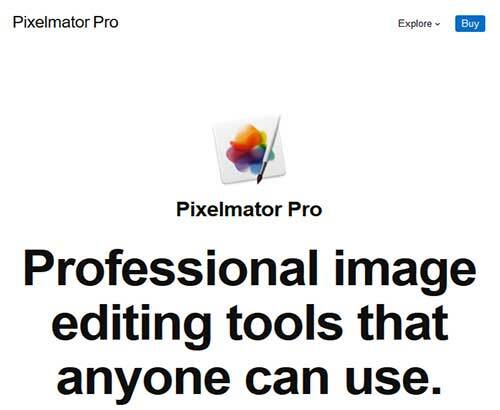 It simplifies and makes image processing more enjoyable than ever before. 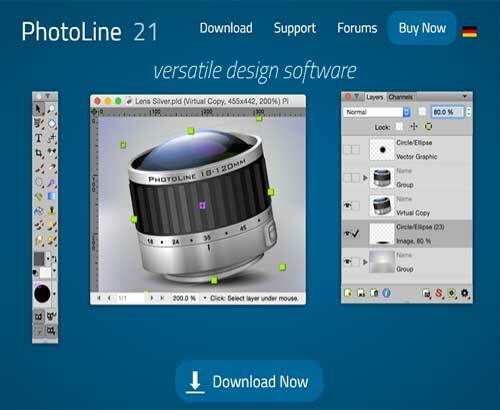 One of the best Photoshop alternative options with a great set of photo, image, vector, DTP and animation tools is PhotoLine. It is one of the most comprehensive graphics software that you find to replace Photoshop requirements. And anywhere you look, there are piles of other options in PhotoLine. 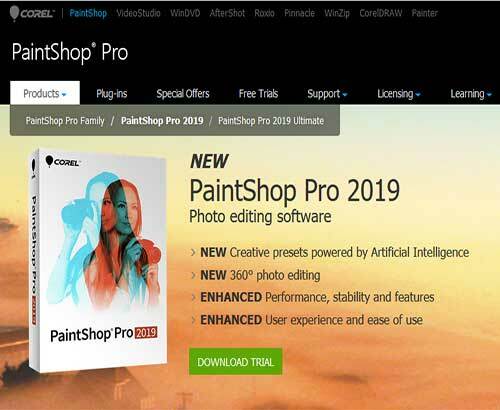 The ability to produce image map and web buttons, a few quality warping and distortion tools, Flash and GIF graphics, batch modifications, HTML galleries and much more can be done to support full layer painting and retouching. It is true that finding the same other software is not a difficult task. But the performance analysis of both might be different. 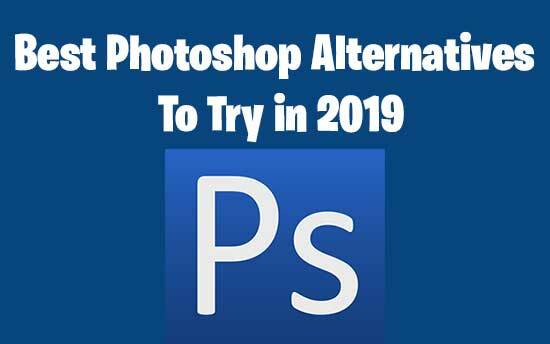 The above 12 Photoshop alternatives may not be an equal performer, but everyone has a similar prospect to provide the various solution for photo editing. If you have chosen any one of them as your editing mate download from the provided link. Else if you want to suggest any other big name missed in the list, drop it in the comment box.